Let yourself dream a crazy dream. "Don't trick yourself into thinking that you don't have the power to make your dreams come true. Remember that the goal comes first and the method comes later. You can make a shift at any time." Comments: This book actually works. I read the book in one sitting, did all the exercises, and got up out of my chair, made a phone call, and set the ball rolling on a project I really wanted to begin. I feel I have to hang on to this book so that I can re-do some of the exercises just in case my motivation decides to flag or falter down the road. Sounds too easy to be true? Your own motivation is the key, according to the author, who gives exercises to get you writing, and thinking, and writing down your dreams, problems you see, people you would ask for help, etc. From the publisher: Author Takumi Yamazaki is a best selling author in Japan. He has authored ten successful titles in the catefory of business which have sold a cum8ulative total of over 800,000 copies. A self-made millionaire, Takami travels around the world giving seminars on motivation. He presently lives in Tokyo, Japan. See Book Review Party Wednesday for more book reviews on Cym Lowell's site. Finally was able to get to the library after more weekend snow. Some of the books I had reserved had been sent back, so I re-requested them and borrowed others. Among those I asked for is Death of a Chimney Sweep (Hamish Macbeth) by M.C. Beaton, a cozy mystery that came out this month. I also borrowed a book of poems by Charles Simic, Sixty Poems . Simic, whom I have never read, is the 15th Poet Laureate of the U.S. Looking forward to it. 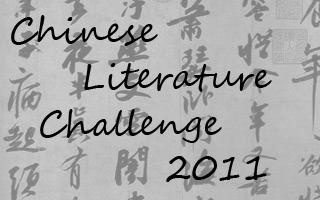 I joined the Chinese Literature Challenge 2011 and hope to read a few new books for this. Fresh Ink Books has a nice list of books to recommend. I also just joined the Immigrant Stories 2011 Challenge at Books in the City. Click on the button on the left to join. I'll be going swimming this afternoon (indoors, of course) and watching the Oscars tonight, in between reading my newly borrowed books and some that came by mail. What have you been doing this past week? Have any of your plans been disrupted by the snow? Comments: Interesting mystery that gets the reader into the world of Chinatown tongs and the criminal underworld they run. 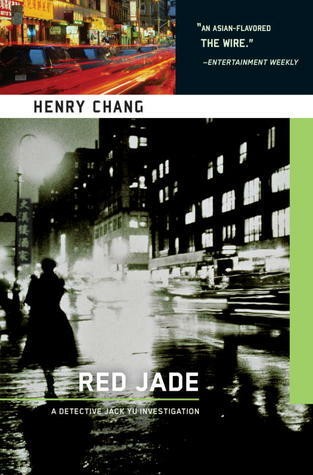 In Red Jade, The bodies of a man and his wife are discovered in a case that looks like a murder-suicide. Detective Jack Yu had been transferred from working in Chinatown, but the family of the victims asked for him to be recalled to do the investigation. Pretty soon, Jack is also searching for a Hong Kong woman who disappears from Chinatown, escaping from the Chinese underworld with a stash of gold coins and a "fistful" of diamonds. She is one of the more intriguing characters in the novel. She is resourceful about hiding from the criminal elements hunting her down as she escapes from New York to Seattle, trying not to stand out or be discovered by the tongs. Detective Yu takes us through Chinatowns in New York and Seattle - pawn shops, jewelers, restaurants, temples, while introducing the Cantonese and Toisanese dialects. About the author: Henry Chang was born and raised in New York's Chinatown, where he still lives. He is a graduate of Pratt Institute and CCNY. He is the author of Chinatown Beat and Year of the Dog, also in the Detective Jack Yu series. 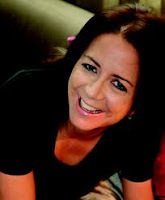 Comments: A combination of travel in Bhutan, history, and memoir, Lisa Napoli's book, Radio Shangri-La, describes not only the author's life and how her several trips to Bhutan have affected her personally, but also gives a detailed history of the country, its politics, religion, customs, and people. Bhutan is a land-locked country in South Asia, bordered on the east, west and south by India and on the north by China. It's set spectacularly at the east end of the Himalayas. Isolated from the rest of the world by decree, Bhutan requires that tourists pay a tax of $250 per day to stay in the country. The result is a country still pristine, non commercial, even though it is becoming more modernized, politically and economically. Bhutan measures progress not in terms of economic advancement, however, but in levels of happiness - the Gross National Happiness index. The work Lisa does to help develop Kuzoo FM puts her in close contact with the young people, the local community, as well as the small group of foreigners in Bhutan, and she gives some interesting accounts of her contacts. In the U.S., in between trips to Bhutan, she meets Bhutanese living and working in the U.S. She also witnesses the coming of democracy to the Kingdom and the beginning of modernization. The hefty daily tax for tourists still stays, however, to prevent an overload of tourists that the still-developing country can't yet handle. When Lisa invites one of the young Kuzoo announcers to visit her radio station in the U.S., I could understand when she became frantic when the adventurous girl wanted to stay beyond the time set by her visa. Everything turned out okay in the end, however. For those who enjoy memoirs and travel books, following Lisa's experiences in the little known Asian country of Bhutan in Radio Shangri-La will be more than rewarding. Lisa's website: Lisa Napoli and blog: Everything Bhutan. 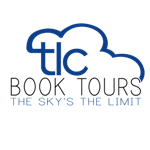 Thanks to Lisa at TLC Book Tours for this book tour opportunity. I discovered the Chinese Literature Challenge from Nancy O's blog at The Year in Books and am participating. Here are some of the rules, but you can click on the title to reach the site in order to sign up. The challenge starts and ends on Chinese New Year, February 3, 2011 to January 23, 2012. You can however join in anytime. Books written by a Chinese or Chinese-American author or books about China (incl. Hongkong and Macau) or Taiwan are the target. Read at least one book and write a review about it. If you don't have a blog, it's also fine to post your review on Goodreads or Librarything. The men in the backseat released their hold on me. One of them turned his head toward me and spoke through the slit in his mask. "I guess we made a mistake." He sounded hopeful, as if he thought I might forget the whole thing. The other one said,"Vern, what're you going to do with her?" Comments: I always enjoy the pet sitter mysteries by Clement. Her character, Dixie Hemingway, lives on Siesta Key (fictional, I think) in Florida and takes care of pets twice a day, early in the morning from 4 a.m. to 10 a.m., and again in the afternoons. Her charges range from regular cats and dogs, to parrots, iguanas, etc. You read about the different animals she feeds, walks, and grooms, in the six books in the series. Dixie draws the line at snakes, however, and hands over those jobs to other pet sitters. She often comes across dead bodies (of humans) while doing her job and solves these mysteries as a great amateur sleuth. Her love interest is the detective in the town, Guidry. 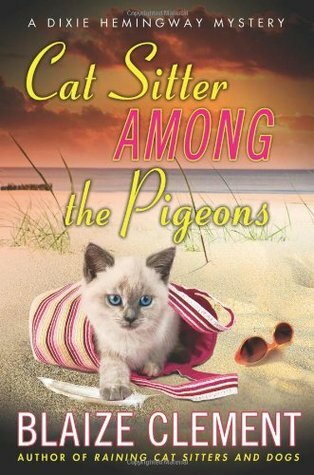 Product Description: "In the sixth installment of the mystery series, Dixie is caring for the cat of a prickly old man whose granddaughter shows up with baby in tow. Dixie desperately tries to save this young woman and her infant from murderous con-artists ready to kill in order to hold on to the millions they stole from naïve investors. The villains, though, are not run-of-the-mill criminals; they are among the socially prominent movers and shakers in Dixie’s town. Dixie must confront her greatest fears and try to save the lives of the innocent, both two-legged and four." About the Author: This is the sixth novel in BLAIZE CLEMENT’s Dixie Hemingway mystery series. The author lives in Sarasota, Florida. "What I'm doing when I'm writing poetry is I'm making a little side salad. Just the right amount of sprouts on the top, maybe a chickpea or two. No bacon. Maybe a slice of egg. It doesn't feel like writing at all." The Anthologist: A Novel by Nicholson Baker is a book I found by happy chance at the bookstore, just at the time I began to make an occasional side salad, bits of poetry. People who write and read poetry on the web are hugely supportive, never nasty, and find good things to say, no matter what you write. I am enjoying this book in small bites. Goodreads book description: "The Anthologist is narrated by Paul Chowder -- a once-in-a-while-published kind of poet who is writing the introduction to a new anthology of poetry. He's having a hard time getting started because his career is floundering, his girlfriend Roz has recently left him, and he is thinking about the great poets throughout history who have suffered far worse and deserve to feel sorry for themselves. He has also promised to reveal many wonderful secrets and tips and tricks about poetry, and it looks like the introduction will be a little longer than he'd thought. What unfolds is a wholly entertaining and beguiling love story about poetry: from Tennyson, Swinburne, and Yeats to the moderns (Roethke, Bogan, Merwin) to the staff of The New Yorker, what Paul reveals is astonishing and makes one realize how incredibly important poetry is to our lives. At the same time, Paul barely manages to realize all of this himself, and the result is a tenderly romantic, hilarious, and inspired novel." Goodreads book description: An insidious cyber-terrorist attack threatens to destroy the Western World in this debut by a leading expert on cybersecurity . Comments: You can tell that Russinovich knows about computer security and security risks, from his detailed descriptions of things that could go wrong if hackers were to do the ultimate damage to computer programs and systems. It is chilling if you imagine it as something even remotely possible. The book seems to be a warning that cyber terrorism could be a real risk, in the ultimate sense, if it endangered transportation, energy sources, economic and business data, and even production of goods. Those interested in computer systems and computer security will find this book interesting and informative. The average reader may find its technicality somewhat challenging. Snow has melted, but expect another freeze today and rain turning to slush. Will Monday roads be slick? Hope not. I have errands to run! Did more than I thought I had over the week, though it's not as much as I would have liked! Slowing down with book reviews as I also am trying my hand at writing poetry, both on my poetry blog and in my journals! I Love a Broad Margin to My Life, a teaser and book description. A Blog Hop featuring a look at a new travel memoir set in Nepal, Little Princes. I finished reading a new Blaize Clement pet sitter mystery, Cat Sitter Among the Pigeons: A Dixie Hemingway Mystery (Dixie Hemingway Mysteries) and gave it four out of five stars. One of my favorite book of poetry, one I go back to time and again, reading wherever the page opens, is an anthology of easy-to-read poems: Good Poems , edited by Garrison Keilor. Another is The Giant Book of Poetry edited by William Roetzheim. Definitely relaxing to read. I recommend it when you don't have time to tackle a long novel but want to read some one's opinion or feelings or observations on a variety of topics. Surprising how many poets have similar experiences and reactions. And of course, I love the way they express themselves. I am now reading Red Jade: A Detective Jack Yu Investigation by Henry Chang, a mystery set in a big city China Town. I've also just finished the ARC of Zero Hour, a cyber terrorism thriller by Andy McNab and will be doing a review. On Feb. 24, I'll be doing a TLC book tour and posting a review of a travel memoir, Radio Shangri-La: What I Learned in Bhutan, the Happiest Kingdom on Earth . Please come back and look for it! Would you believe I'm also trying to learn Japanese so I can communicate with my 3 year old grand daughter. Here's the book and CD that I'm listening to: Berlitz Japanese in 30 Days (Berlitz in 30 Days) (Japanese Edition) . So far, I how how to end a sentence so that it becomes a question. I also know how to say goodbye, sayonara, with the proper intonations, so that it sounds like Japanese! I'm slowly getting used to the sounds, stops, tones, etc. What have you been doing over the long winter week? Comments: Bradley has done it again, another perfect mystery featuring that precocious and witty 11-year-old sleuth, Flavia de Luce. The books seem to be getting better and better and Bradley is hard at work on his fourth in the series! In A Red Herring Without Mustard, Flavia befriends a tired old Gypsy woman at an annual fete and invites her to park her caravan on her father's property in a secluded and grassy bend of the river. When the Gypsy woman is attacked in the night and seriously injured, her head bashed in, all eyes turn suspiciously to Flavia who was the last to see her. A murder occurs on her father's property soon after, and Flavia becomes involved in the case of a missing baby the Gypsy was supposed to have kidnapped and carried off many years earlier. Flavia dodges the attentions of her father and sisters to carry out her sleuthing in the village, day as well as in the early hours of the morning. With her trusty bicycle, Gladys, the 11-year-old glides through the village and uses her sleuthing skills, her insatiable curiosity, as well as her knowledge of chemistry to track down clues and put them together to solve the mysteries. Told in the first person, the narrative moves swiftly, as Flavia moves from one thing to the next and takes us on her journeys with her. Witty and observant, her words are delightful and full of clever images that make the book much more than just a good plot. If you enjoyed the first two in the series, then A Red Herring will be an even better treat.